How do I know when a new user registers or accepts an invitation? 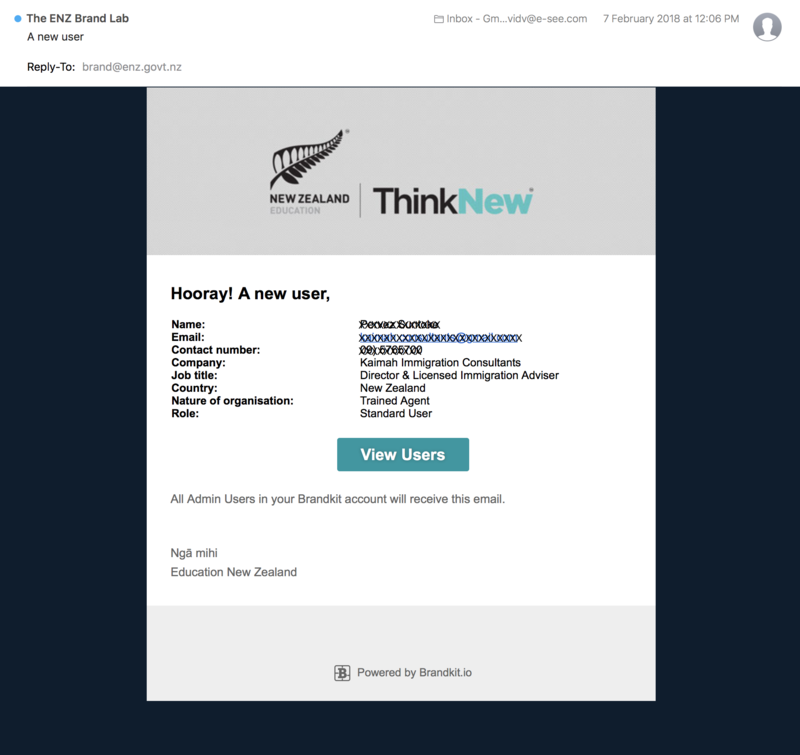 Brandkit sends Admins an email notification whenever a new user completes registration (becomes a registered user). When accepting an invitation to register. Admins can then click through to the Manage Users view and change the users User Role if required, or Suspend the user if they want to block access, etc.